One of the perks of being a food blogger is getting invited to nice events, such as tastings, cookery lessons and opening parties. These occasions offer the chance to experience different dishes, discover new cuisines and meet people with whom I share the same passion. 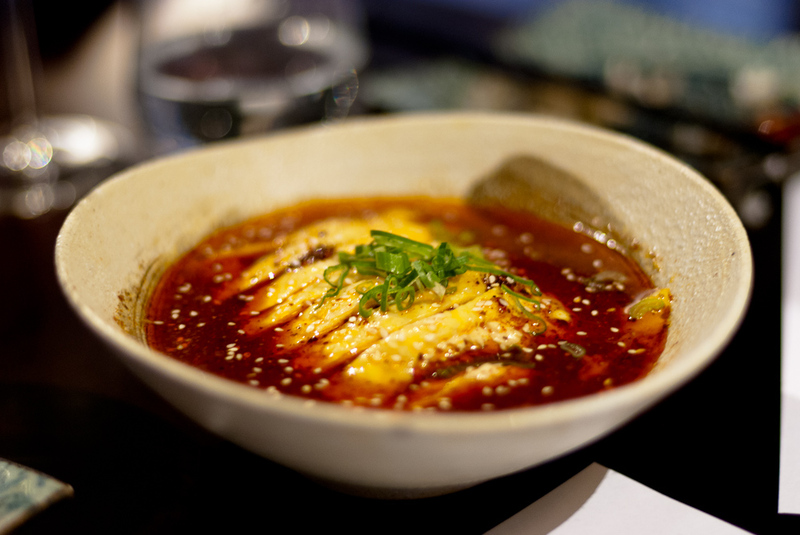 That’s why I loved the Szechuan food event at Seventeen in Notting Hill: at the dinner, which took place in May, I discovered that Chinese food can be incredibly flavoured and spicy and I also met some very nice bloggers! 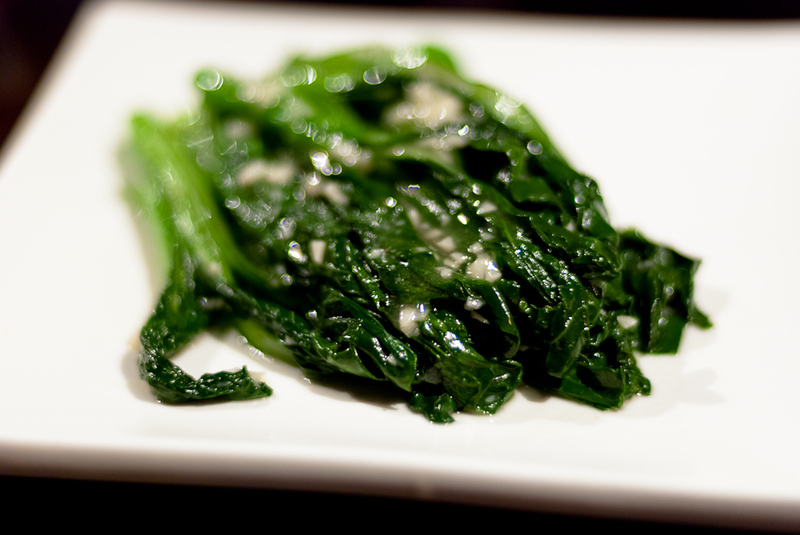 I extended the invite to my friend Charlotte, only to discover later that she is actually from Szechuan and hence would become the perfect judge of the food’s authenticity! Well, she loved it and also took some amazing pictures of the dishes (waaaay better than my poor attempts at defeating the dim-lit setting), so go have a look at her blog post. The lovely restaurant manager, Mark, welcomed us downstairs where there is a big room with a bar, a privé area (where we sat) and many small tables. There are many waiters and you never feel un-attended (in a good not-pushy way). 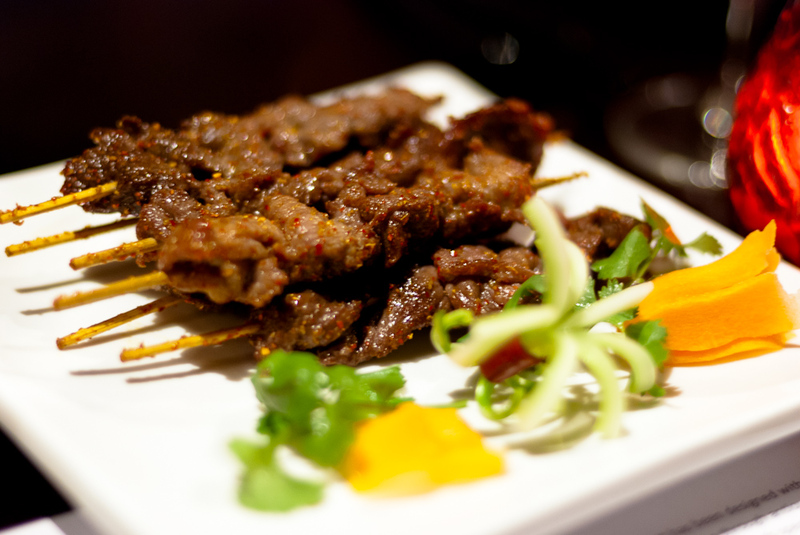 After spending some time introducing each other, chatting, drinking wine, the food started to come our way: Cumin Lamb Skewers and Beef Shank in Spicy Sauce. I liked the lamb, but they got easily over-shadowed by the beef, which was fantastic! 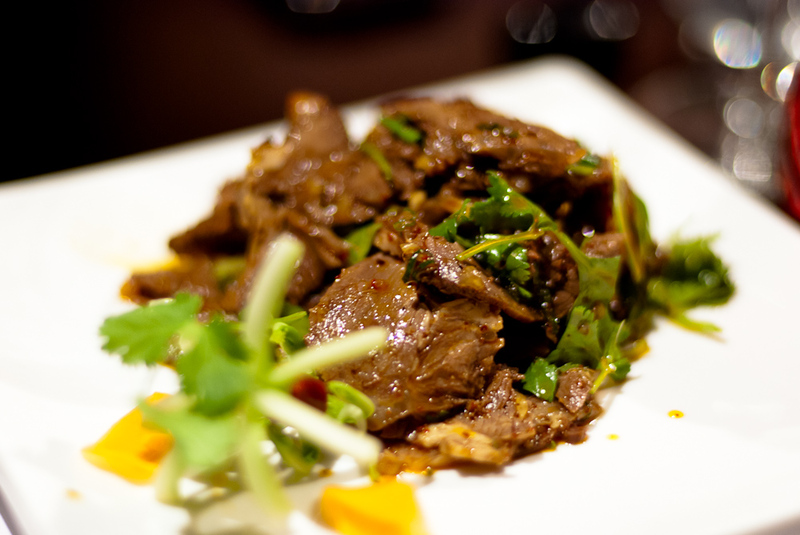 In fact, it was probably the best dish of the night: tender meat, melting in the mouth and bursting of flavours. 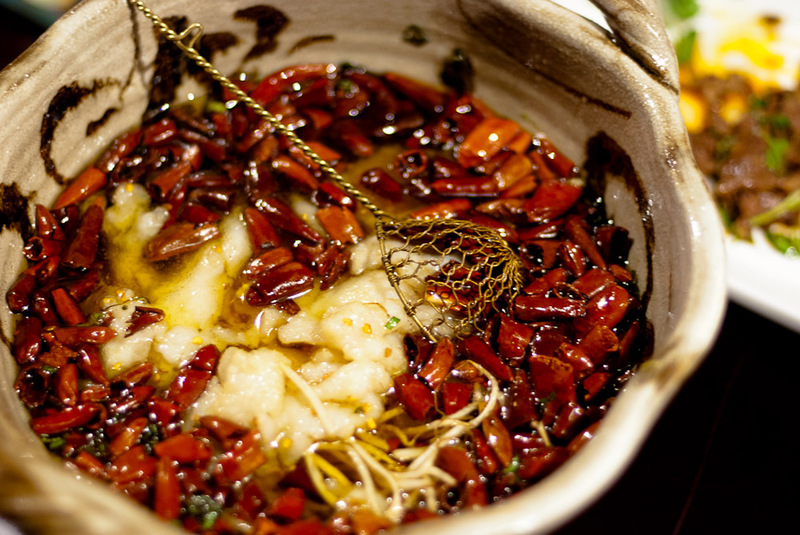 However, the star of the show was the Sezchuan-style fish: beautiful ceramic bowls of boiled fish, swimming in a broth of peppercorns and red chillies. It was not the kind of spice that hits you at the first bite, but after a few minutes (and for hours afterwards) it will make your mouth burn! I loved the idea of fishing the pieces out of the bowl using the special metal colander (trying to leave out the chillies!). There was more food to come – believe me! 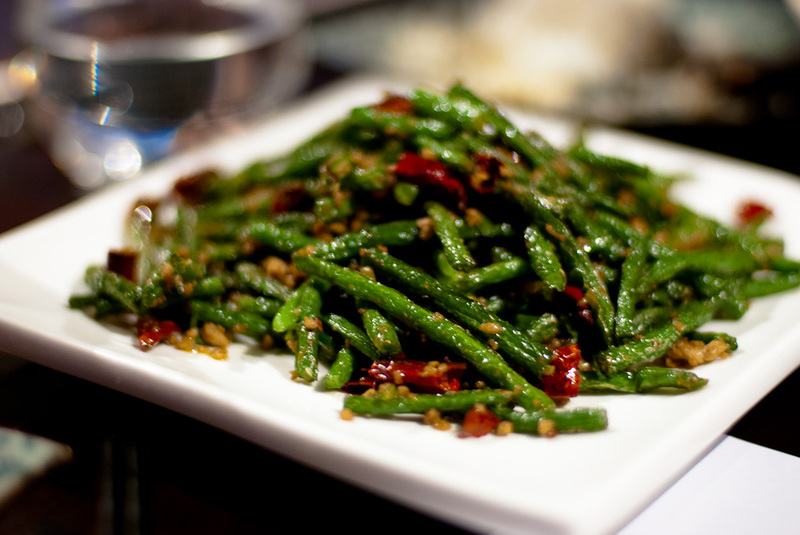 Chongqing Chicken, a cold dish of steamed meat in chilli and sesame sauce; Twice-cooked (boiled and stir-fried) Pork Belly; Green Beans with Pork; Choi Sum Garlic. 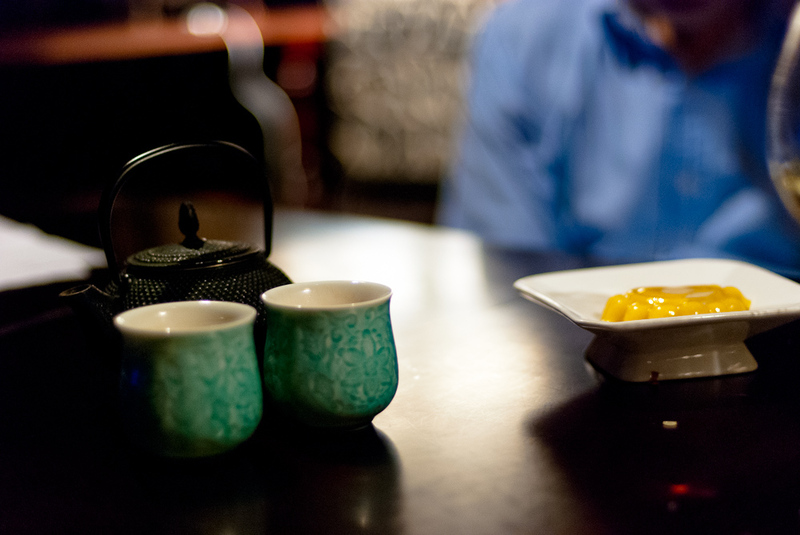 The Szechuan “chilli party” finished with Mango Jelly and Mochi Balls with black sesame and peanuts, followed by a soothing Jasmine Tea. I had a great dinner and enjoyed the atmosphere, service and food. 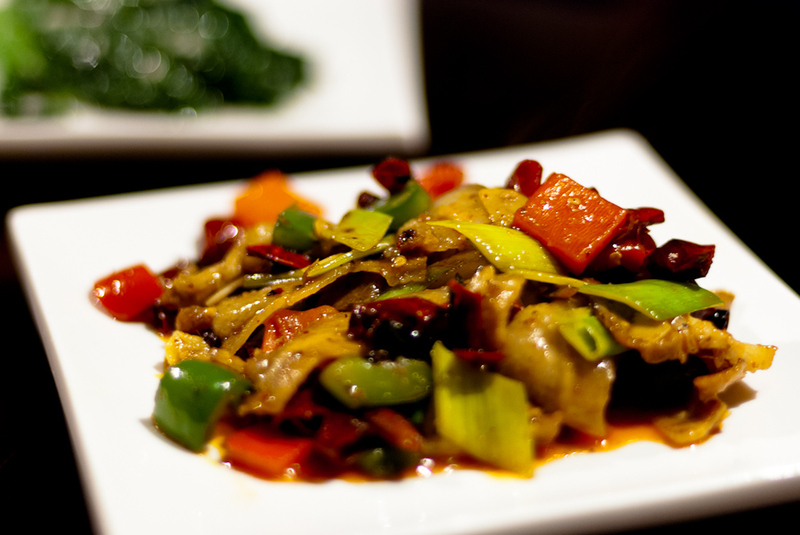 I really appreciated Mark’s efforts in spreading the word about this restaurant, which offers good authentic Szechuan dishes, yet is located out of the “foodie trail” and can be easily overlooked. 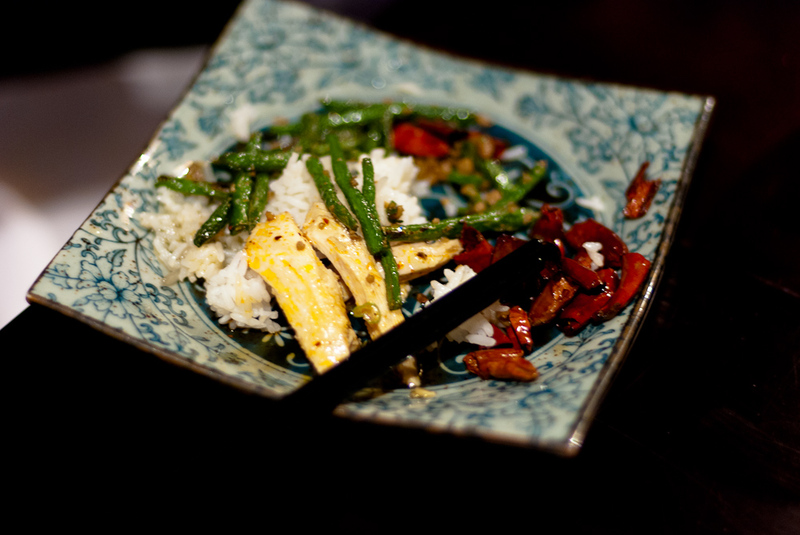 If you are a fan of spicy food (and are not a vegetarian! 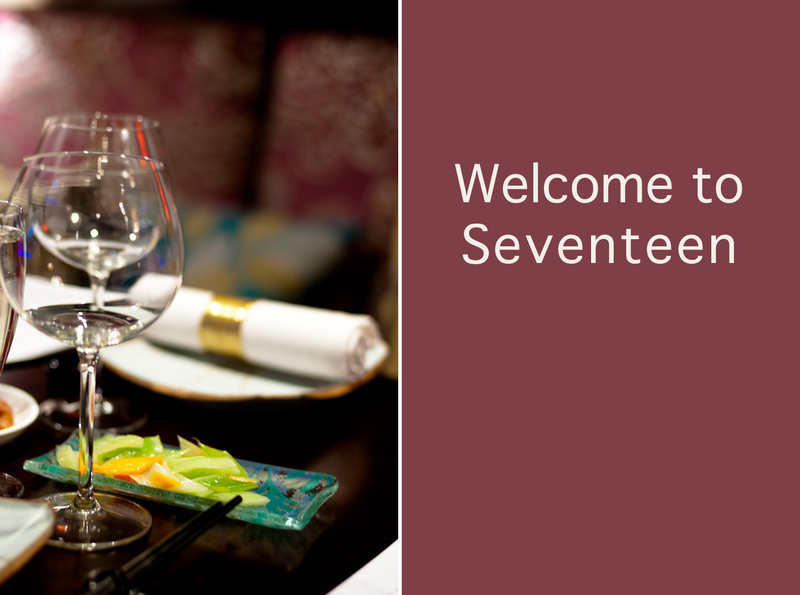 ), you should pay Seventeen a visit! For more reviews, visit Feast To The World, Yummy Choo Eats and Dolce Dini. Disclosure: the dinner was kindly offered by the restaurant. All views are my own.